Water analysis instruments covering the full range - from pH, ISE, conductivity and dissolved oxygen meters, electrodes and solutions, to colorimetry, titration and on-line process monitors. 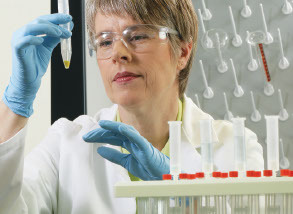 Recognised worldwide for quality and accuracy, our products serve markets such as environmental, food and beverage, pharmaceutical, and general laboratory equipment. Water quality testing products cover both field and laboratory applications in the market segments of portable and wastewater treatment. Process water quality instruments, kits, accessories and reagents for all your process and laboratory needs. Thermo Fisher Scientific offer a wide range of instruments for measuring and monitoring algae including analysers, probes and sensors. Maxx Automatic water samplers are ideal for wastewater, industrial and environmental sampling. Includes options of fixed or portable and refrigerated, Maxx autosamplers are customised to a wide range of applications. Groundwater level data is used to determine how much water is present and where it is heading. Choose from a simple electronic water level meter or automatic loggers for accurate unattended remote monitoring. We supply a range of samplers, bailers, sampling pumps and filter units and systems to suit a variety of sampling applications. Recognised worldwide for quality and accuracy, our groundwater monitoring bore materials serve markets such as environmental, food and beverage, pharmaceutical, and general laboratory equipment. Products include casings, screens, well plugs and caps, well covers and a range of well accessories. Collect a sample using a variety of devices including grab samplers and dippers. Measure water quality parameters using single or multi-parameter instruments, designed for rugged field use. Flow monitors, nets, pumps and bubblers are also included in this range. Portable flow monitors provide an easy and convenient solution for measuring flows in open channels and partially filled pipes. Our smart packaged fixed flow monitoring solutions, with optional additional integration of a range of environmental sensors for the environmental, industrial, stormwater and wastewater industries.